Since its establishment in 1991, SAMBO HITECH Co., Ltd. has specialized in manufacturing and exporting basic CCTV cameras. By having participated in various expositions overseas, the company has informed its customers directly that it manufactures CCTV cameras, and the development of customized specifications is thus possible. The company has had an outstanding reputation as a professional manufacturer all over the world and recent products include various products such as IP cameras with 5 million pixels, 3 million pixels and 2 million pixels, not to mention full HD (2 million pixels), ultra HD (4 million pixels), AHD and HD-TVI cameras. The company manufactures products with high quality and high specifications based on its accumulated expertise. 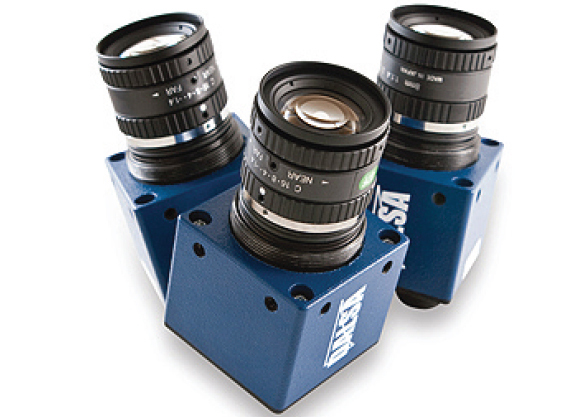 The designs also vary widely as manufacturing and supplying of various cameras is possible. It produces dome cameras, infrared cameras, box cameras, half-dome cameras, miniature cameras, bullet cameras, etc. The sale of camera boards is also available for CCTV or video door phone manufacturers. The company’s 4M AHD camera uses a 1/3 4 million pixel CMOS sensor board inside. Its main features include 2560 X 1440P AHD video output with 3C-2V coaxial cableup to maximum 300 meters. It is possible to use digital WDR or Mega class lens (fi xed focus lens and varifocal focus lens also available) and the 4M AHD camera is expected to be upgraded to 3D-DNR and Sens-up using a motorized lens. The 5M/3M IP camera is a 5 million / 3 million pixel networking camera. By adopting STARVIS sensor, triplex streaming is possible. Their main features include 3rd party CMS and smartphone support, not to mention multiconnection up to 10 users. They have various functions such as D-WDR, 3D-DNR, BLC, motion detection and privacy mask. Full HD motorized AHD / TVI / CVI / CVBS – 4 in 1 camera has 1080 pixels and customers can choose one out of four types of signals. It uses mega class motorized lens with automatic focus. It is possible to use 3C-2V coaxial cable up to 300 meters. It has digital WDR, 3D-DNR and Sens-up functions. [INQ. NO. 1606E07] CNB Technology’s anti-saturation “Intelligent IR” technology provides the clearest video images during darkness or in any conditions. This sophisticated technology dramatically eliminates the biggest problem of the current majority of other IR cameras by distinguishing the closer objects with control of the IR sensitivity – while still providing sharp pictures without saturation. It ensures longer IR LED life cycle to adjust IR LED light illumination power – automatically from DSP processing which controls IR power consumption by objects’ distance. CNB’s CCTV camera “CCM-20VF/CCM-21VF” provide naturally sharp pictures through automatically compensating for the darker areas surrounding the object. Easy to install, they can set a privacy zone function to make perfect private areas. Equipped with day & night functions, they can deliver the sharpest pictures even in very low ambient lighting. During the past several years, CNB has steadily grown and increased its sales record amounting to US$120mil. annually. With such impressive growth, it has become one of the top security camera makers & exporters in Korea. The global manufacturing facilities in Korea and China also helped the company accomplish a 40% annual average growth rate. CNB is an innovative solutions provider and one of the global leading manufacturers of video surveillance products. CNB stands for “Challenge, New technology, Best quality.” CNB develops and manufactures a comprehensive line of feature rich security products for a worldwide market, with a commitment to research and development and an emphasis on service to its customers. Headquartered in Seoul, Korea, CNB has a global presence with branch offices in Shenzhen, China, as well as in California, Texas, New Jersey, USA, and Duisburg, Germany. At the upcoming IFSEC International 2016, it will exhibit 11 of its latest CCTV camera models including the ISS4032Z28. [INQ. NO. 1506E05] Sambo Hitech, one of the most dynamically growing CCTV camera companies in South Korea, has since its establishment in 1991 been professionally engaged in manufacturing security solutions. Its products include CCD modules, CCTV cameras, LCD modules, and car rearview cameras. Those are based on utilization of the profound digital technology, which help the company’s debut and presence in global market. It supplies security solutions that are equipped with latest electronic technologies for homes, offices and factories for security and safety. Since 1991, Sambo Hitech has been manufacturing core items for well-respected CCTV camera, TFT-LCD and camera modules manufacturers worldwide. Now, the maker is supplying its valued CCTV cameras to LG Electronics (by ODM) after passing complex tests through successful development of modules and CCTV cameras by its own technology. For this year’s global expansion of its presence, especially the company has ambitiously prepared its new flagship HD-SDI IR LED camera – which is armed with more powerful long distance IR LED for night vision. The camera features highly enhanced resolution (natural color image) and low power consumption. And also involving functions of automatic switching to B/W at night, no halo&no dark circle, it is expected to be one of components that propel of the movements of the company at the targeted foreign markets including the EU, the Middle East, Africa, South America, and Australia. [INQ. NO. 1312E10]Since its inception as a private company in 1993 and the following incorporation in 1998, RTS has been committed to the development of first class machine vision inspection systems in the fast changing technology world. RTS is proud to be known as a highly intensive technology firm, putting most of its resources and energies into research and development. The company developed and commercialized exciting inspection systems and module-base devices. To name a few, among them are the Micro Chip Inspection System™ which inspects micro multi-layer ceramic chips such as MLCC and varistors used in the electronic goods, front & backend 2D & 3D inspection systems for the semiconductor industry, and AOI(Automated Optical Inspection) systems for flat panel displays. its own capabilities, despite the technological difficulties over the years. With such successes in mind, RTS has created a new, independent business ivision, which specializes in security and telematics since the beginning of 2006. Currently some of its achievements in this arena include a multi-channel network DVR system, backend softwaresupported in-vehicle video system, commercial DVRs, CCTV cameras, GPS navigation series, and the list goes on and on. The company believes that what has made these achievements possible within such a short period of time is its innovative spirit and passion. Filed Under: Find More Tagged With: cctv cameras, flat panel displays., GPS navigation series, Micro Chip Inspection System™, RTS CO. LTD.
[INQ. NO. 1304E13] The CCTV cameras manufactured by Huviron deliver exceptional operating quality even in surrounding poor lighting circumstances. The infrared sensors ensure clear video surveillance in nearly complete darkness. That means they can be used as optimum solutions for storage rooms, garages, etc. Among its manufacturing and commercializing products are: day&night zoom cameras, dome cameras, board cameras, etc. Huviron’s CCTV camera SK-B300 employing CMOS image sensor (2.1mega pixel) carries HDSDI(1080p@25/30fp) video image output. The function for day&night(ICR) is intended to fully allow the operator to suitably handle the camera for the targeted security work. The SK-B300 lets the user enjoy enhanced visibility in real-time in such poor conditions as fog, dust, lowlight, etc. The scope of the recommended operational temperature ranges from -10°C to 50°C. 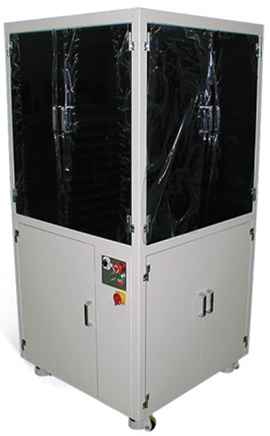 The regulated power supply of 12V DC should be maintained to ensure the stable operation. For an effective scanning system, Progressive Scan is available. Now Huviron is stepping up its drive to grow into a global leading company. In 2011, the company established the Huviron USA Inc. as part of its early drive to achieve such plans. If you want more information about ‘CCTV Cameras’, please contact us.